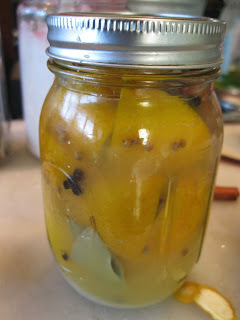 A good friend of ours, who is an amazing home chef, gave us a jar of preserved lemons last year as a gift when she came to one of our home dinners. 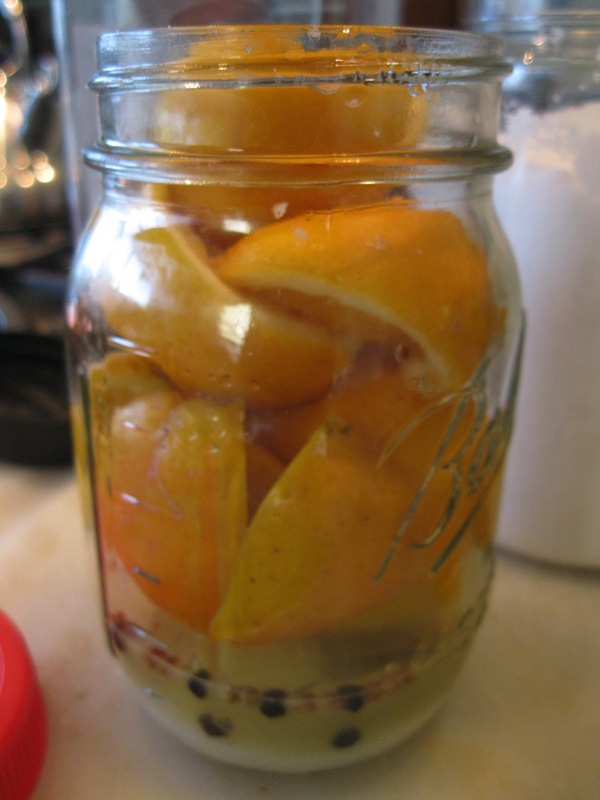 Since then I'd dipped into the jar whenever a recipe called for it, finally running out of the lemons last month. Since we have a lemon tree that needed to have its fruit thinned out this was a perfect time to get around to making some my own self. The recipes I came across while looking for one I liked were all fairly similar except for one I saw on Joanne Weir's excellent new teaching show, Cooking Confidence, on PBS. Since she says that she learned how to make it in Morocco and as hers applies a bit of extra flavor as well, I thought I'd use her recipe. 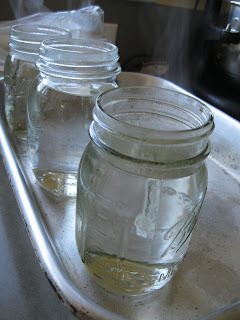 Out of the recipes I found in my library only one recommended sterilizing the jars prior to using them. I figured that extra step couldn't hurt so I added it here. If you are so inclined, sterilize the mason jar by filling it with boiling water, letting it sit for 10 minutes, then emptying it. Add about 1-2 tablespoons of kosher salt into the jar, then drop in a few coriander seeds and peppercorns. Partially quarter each lemon by cutting from the stem end down almost to the opposite end without severing it, leaving it just intact so that the lemon does not fully separate. 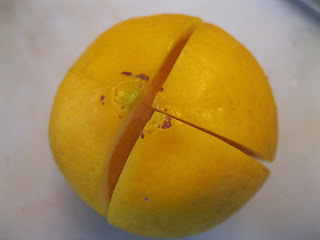 Turn the lemon 90 degrees and add another perpendicular cut, again almost but not quite to the end. Sprinkle about 2 teaspoons of salt into the interior of the cut lemon. Place the lemon into the jar and push it down. Do the same with however many more lemons you can push likewise into the jar allowing their juices to spill out into the jar. 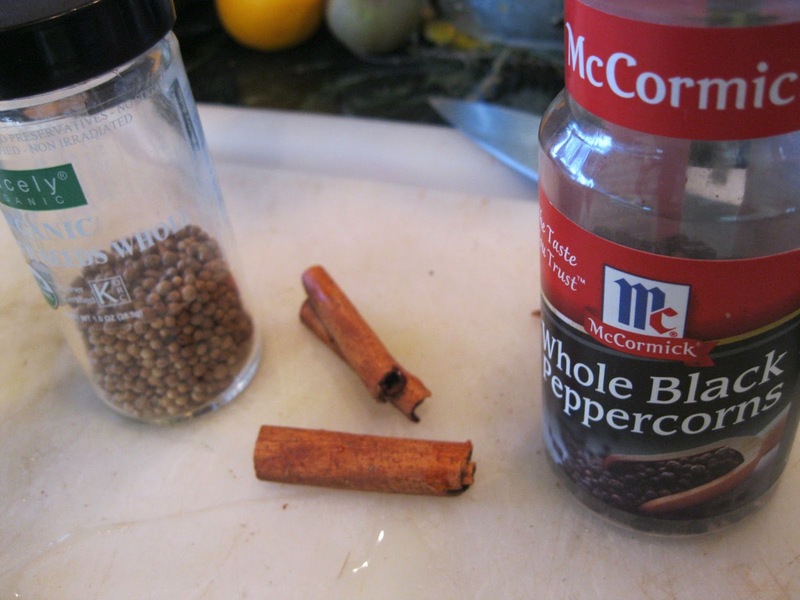 Add the bay leaf, cinnamon stick, and any remaining coriander and peppercorns. 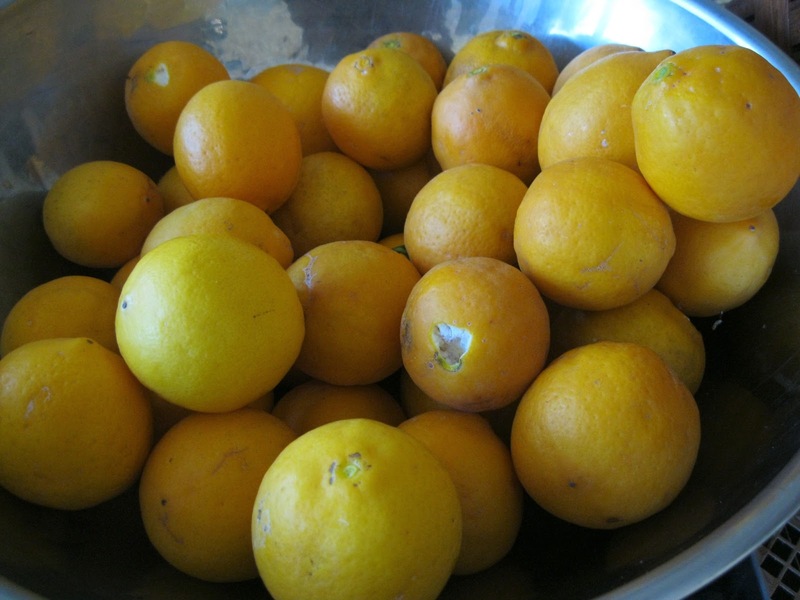 Pour as much of the lemon juice into the jar that is needed to completely cover the lemons. 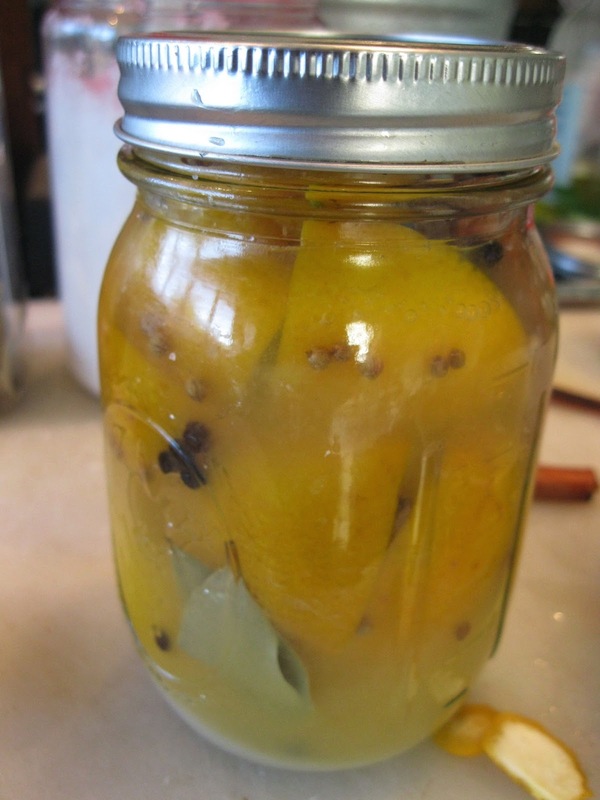 Screw the cap on tightly, put the jar into a cool dark corner, and allow the lemons to pickle for at least a month before using, turning the jar every so often, about once a week, during the month to distribute the contents a bit. Once the lemons have pickled, I keep it in the frig but I understand that the lemons can keep up to year in or out of the refrigerator.